The Universal Accreditation Act of 2012 goes into effect on July 14, 2014. The UAA extends the safeguards of the Hague Adoption Convention to all international adoptions, including kinship adoptions. New Beginnings has helped many families with adopting an extended family member. Families who wanted to adopt their niece or nephew abroad would often call and ask if we can do a home study for the immigration process. 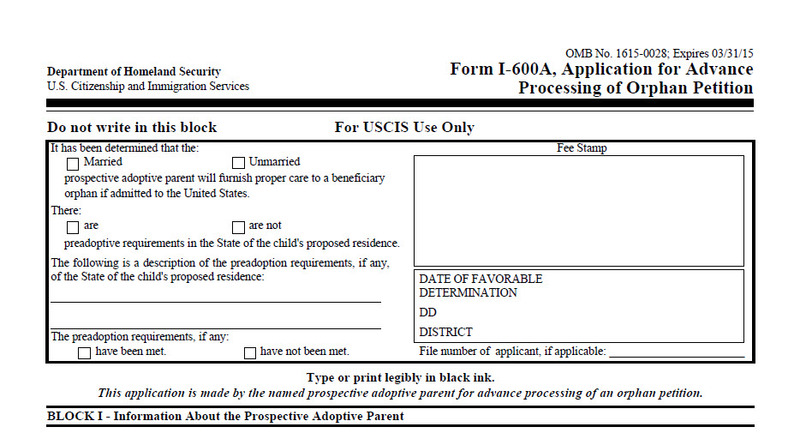 Now, with the UAA, the adoption agency will need to do much more than just a ‘USCIS good’ home study. The adoption agency will have to ensure that all adoption services are professionally done including the home study. A family adopting a relative abroad was required to figure what group or governmental organization would arrange the surrender or how to legally finalize the adoption, often on their own. Now, under the UAA, an adoption agency must help the family figure out the person or entity that will do each service, here in the U.S. and abroad. This is the plus side. The down side is that it can be difficult to find an agency that can ensure adoption services are correctly done in a foreign country. Finding an agency could be especially challenging if the adoption is from a country that has few international adoptions. • The Primary Provider is the adoption agency that identifies who and how the adoption services are to be done. The Primary Provider is also called Adoption Service Provider (ASP). • There are Six Adoption Services that need to be accounted for by the ASP. The list is more complicated, but as an introduction to the services, they are the surrender, the back ground study on the child, the home study and the finalization. The full list is below. • For all adoptions, including relative adoptions, the Primary Provider or ASP will need to identify who and how each service is to be done. This is the Service Plan. Using the terms above, my best, concise statement of what UAA requires is that after July 14th, a Primary Provider must develop and executive a Service Plan to ensure that the Six Adoption Services will be provided with the same standards of practice and ethical conduct as in Convention cases. 6. When necessary because of a disruption before final adoption, assuming custody and providing (including facilitating the provision of) child care or any other social service pending an alternative placement. If an agency has an active program in that country and the provision of services is already established, they would be more open to providing services for a relative adoption. The Service Plan might need to be adjusted, but the essence of it would already be there. Adoption agencies will develop Relative Adoption Programs that comply with the UAA for countries that do not have active programs. Until then, finding a Primary Provider for these countries will be difficult. Agencies will be reluctant to take on the challenge and the risks involved in ensuring the six services when the foreign county’s adoption procedures are unknown. For relative adoptions, the process initially will be more complicated, and, for the moment, some countries will be effectively closed. Here are some guidelines for families who are considering, or are in the middle of a relative adoption. Identify the Primary Provider first. For practical purposes, All International Adoptions require an ASP. If you have taken other steps without having an ASP, it is not too late, but find one now. In the past, families looking to adopt a relative might have been told to have a home study done and file the I-600A. This advice was always limited and incomplete. A home study done by an independent social worker, even if he or she is licensed, would be insufficient for international adoption. Regardless, a home study only is no longer enough. A primary provider is needed to ensure adoption services are done correctly, including home study services. After you have identified and come to an agreement with the ASP, let the agency direct how the home study is to be done. It has become common for a family to need two agencies: a local agency to do the home study and another agency to be the primary provider. In this situation, the ASP will oversee the home study agency. When possible, it is preferable for the ASP to be licensed your state of residence so they could do the home study themselves. The costs will be less and the process will be faster and easier. There will be a period of transition while the UAA is being implemented. New Beginnings has helped many families adopt an extended family member abroad. We are currently developing a pilot Relative Adoption Program to design and implement Service Plans to help families adopt under the UAA. Relative adoptions have and will continue to be a vital part of permanency plans for orphans around the world. We believe that when a child can not be raised by his or her birth family, the child should be placed with their extended family whenever possible. We look forward to providing services for relative adoptions in the near future. For more information on the Universal Accreditation Act, visit http://adoption.state.gov/hague_convention/agency_accreditation/universal_accreditation_act.php. The website is a great source for information on intercountry adoption. For addition information on the UAA, visit http://coanet.org/home/, then scroll down and the link is on the left. For information on the Hague Convention and the countries that have signed, visit http://www.uscis.gov/adoption.